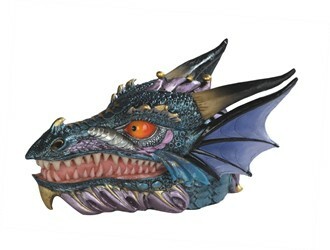 These gorgeous dragon heads are becoming extinct. They are no longer made. A really colorful collectible for your fantasy collection. 7 inches wide and a good size.